For the past few years I have been in email contact with Altana, a deeply rooted Shaman from Mongolia. 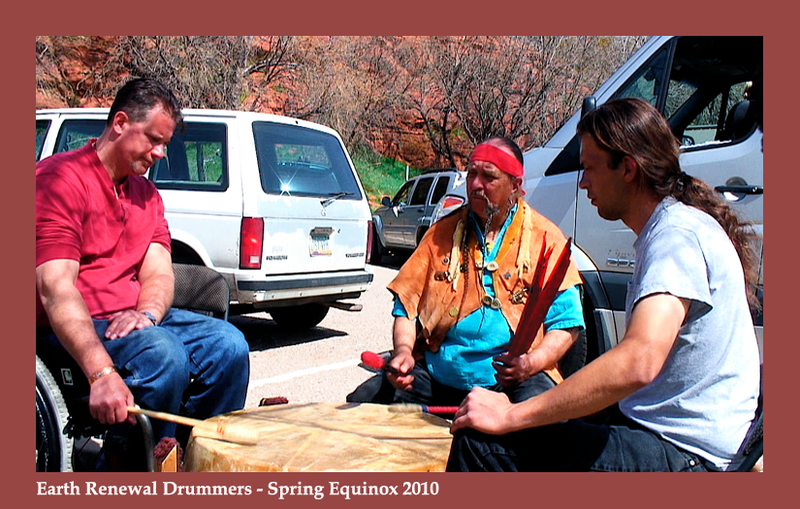 He first contacted me in 2004, saying he wanted to connect with me as a fellow Shaman. This last month he informed me that he was coming to Sedona to visit! He arrived on March 16. We spent the next few days talking, he in his traveler’s English and me with my traveler’s ability to go beyond words and respond to voice inflection and body gestures to fulfill language-limited communications. Conversations about the nature of Shamanic realities were exchanged, he from the traditional Mongolian perspective, me from an American perspective. The variances were few! 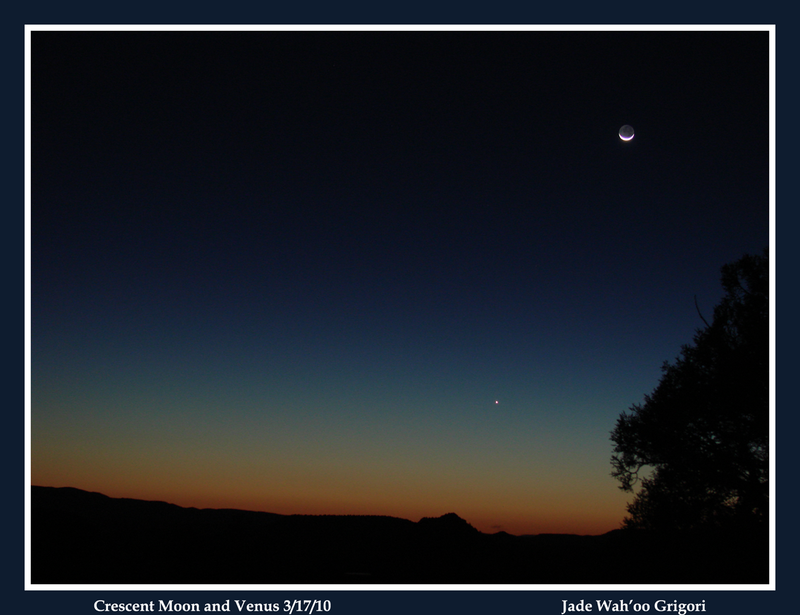 We spent time hiking and doing ceremony together, with prayers of honoring the Ancestral Spirits and the inhabitants of the Celestial Vault, specifically Venus and the new Crescent Moon, the new Spring Sun, the 7 Sisters (Pleiades) and the 7 Brothers (the 7 stars of the Big Dipper). On the 21st we packed up my own ceremonial gear and headed down to Red Rock Crossing, a local gathering grounds, to bring forth the Earth Renewal Ceremony for the Spring Equinox. We were joined by 25 folks from the local community. The ceremony began with me giving the ceremony’s history and an orientation as to its protocols and significance. Following a short time of helping people to learn the steps of the dance and the lyrical rhythm of the song, we sung and danced for the next hour, twirling and swirling in time to the steady THUMP-thump, THUMP-thump of the large dance drum, which was set, relative to the dance pole, in the position of the Sun’s rise on that day, due east. This was followed with the Give-Away portion of the ceremony. During the Give-Away Ceremony we each bring a gift of personal significance and value. A woman is chosen to embody the Spirit of the Earth Mother. 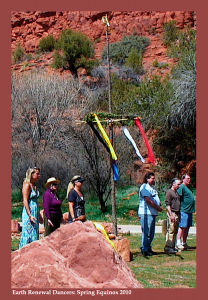 She sits at the base of the Sacred Tree, the dance pole, where She receives the gifts each of us has brought. When all have given Her a gift in recognition that all material goods we ‘own’ are but temporary loans from Earth to us, we each file back in to receive a gift, typically other than the one we brought, from Earth Mother. These gifts we each take home as reminders of the generosity of the Earth in sharing her bounty with us. A pot-luck Feast always follows the dance. And what a feast of abundance it was! Every participant had brought a favorite home-prepared dish to be shared amongst all. I asked Altana to make the offering of the first plate of food to the Earth Mother. He spoke his prayers of blessing in his native tongue while we all stood in a circle surrounding the tables of food. Once the food blessing was done we all joined in feasting, sharing our experiences in the Earth Renewal dance and song and generally chatting and getting to know each other better. Connections were made, alliances formed, old wounds healed and much laughter abounded. Tuesday night I made my way to a friend’s house. He was hosting a performance of the Tuvan throats singers Chirlgilchin. Aldar, Mongoun-Ool, Igor and his wife Aidysmaa, who are the members of the band, are friends of mine, so it was wonderful to be able to visit with them for the evening. Once their ‘performance’ was completed we all joined in with them with a variety of instruments, a quality salon of sound emanating forth from the living room where we were all sitting. As we talked, they each, in their own time and manner, asked me when I was coming to Tuva. Aiieee! Ok, here it was again… the invitation to return to the home of my Ancestors. 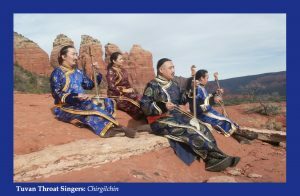 I let them know of my plans to go to Mongolia in 2011, and suggested that I might extend my stay so I could also go to Tuva, where they, these friends of mine, would be conducting a training camp for the instruction in the different styles of Tuvan throat singing. At this time it looks like I will make plans to spend the entirety of the summer of 2011 in Central Asia. This past week has been one of a deep reconnection with my own Mongolian heritage. 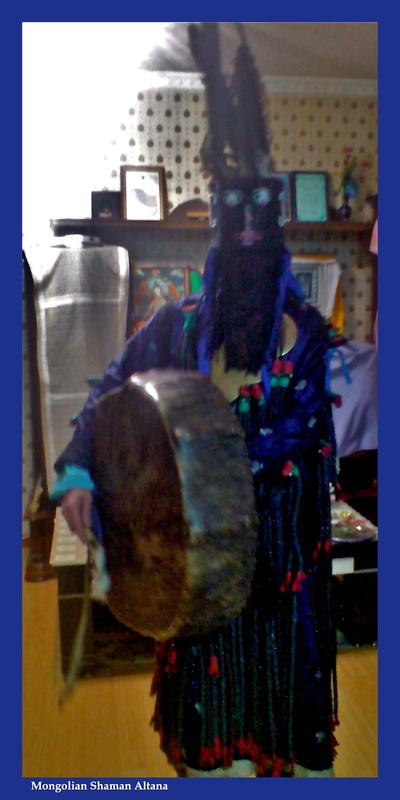 It has been a deep honor to be welcomed into the fraternity of Shamans from my ancestral homeland, to have met, and made friends with, a fellow caretaker of our ancient Shamanic ways. 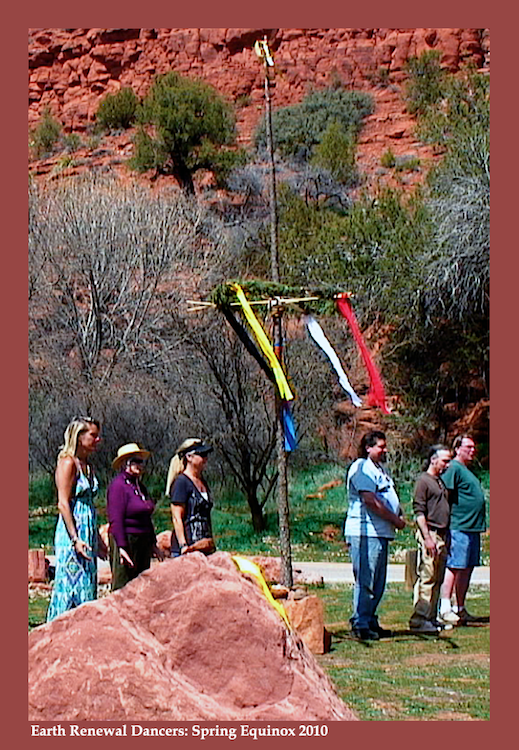 Sharing the Earth Renewal Ceremony with a brother Shaman, my family and my community has been deeply rewarding. Reconnecting with my friends of Tuva, and their invitation to meet them in their homeland, has opened my own door of possibilities even wider. Now begins a journey whose steps will take me into unforeseen adventures. I will dance and sing with the Spirits all along the way!